The PRP Vampire Facial is a natural, safe and effective treatment. Contact us to schedule a free consultation. 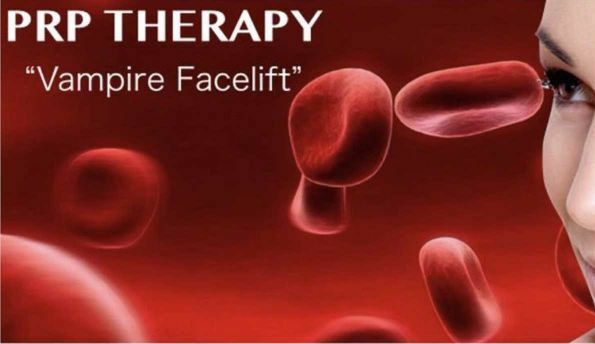 The Platelet Rich Plasma (PRP) or Vampire facial is a natural, safe and effective treatment used to rejuvenate the skin, particularly the areas around the eyes. Blood is taken by our aesthetic nurse from the client and spun in a centrifuge to separate the PRP or the 'good blood'. Once separated, the blood is then injected into the face, neck, etc., remodeling and rejuvenating the skin as well as naturally increasing collagen production and elasticity. Skin appears youthful and radiant with a noticeable reduction in fine lines and wrinkles. Results of the PRP Vampire Facial continue to improve over a period of 6-12 weeks. Treatment time is roughly one hour. This procedure is extremely safe with little-to-no downtime. If you do have any concerns, don’t hesitate to contact us to schedule a free consultation.